Solar power is go. With even tiny solar panels now reaching impressively efficient levels for just a few dollars each, expect a a raft of innovations to appear with integrated solar panels or light capture devices that automatically recharge without a cable in sight. The first is the Luci. Have you got a bulky, heavy light for your tent that eats-up huge batteries? Or perhaps you rely on a head-torch that is meant for early morning climbing and walking, but often gets used-up making your dinner. 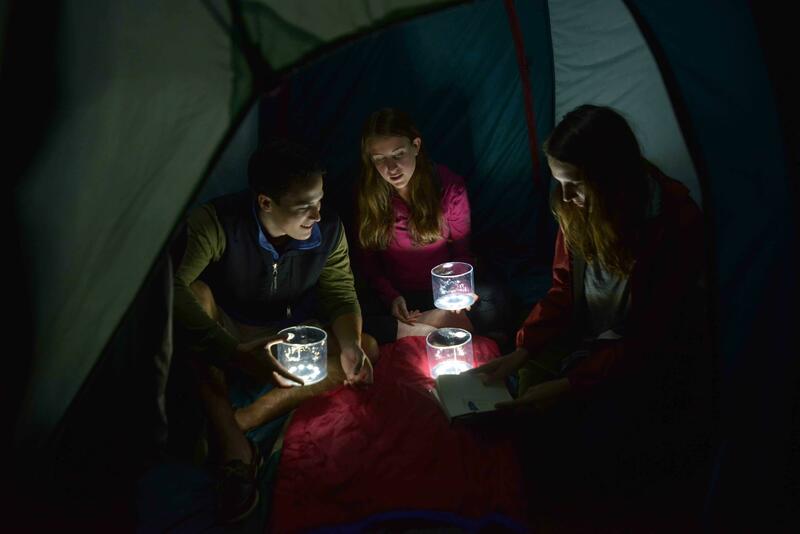 Step forward Luci, a collapsible, inflatable, waterproof and floating solar lantern that weighs just 113g and is perfect for camping trips. Luci’s design is simple. There are four tiny solar panels, each 1″x1″, that power-up a 3.7V Lithium polymer battery that fuels 10 LED lights on the reverse that pump out 50 lumens. That’s easily enough for reading or making food. Though it packs completely flat, Luci extends to a 10.8cm-long lantern if you blow air into it. There are also three intensity settings; bright, super-bright and flashing. It might look great in your tent, but Luci has bigger ambitions. Since it gives off strong light for up to 12 hours on eight hours of sunlight, solar lanterns like Luci are perfect for out-of-the-way villages. Maker MPOWERD aims to help the billions of people still living without electricity, and its ‘Give Luci’ program has seen its lights used in off-grid places in Kenya, Haiti, Philippines and Nepal.